A rapid increase in marine and fishing sectors across the globe has led to a surge in demand for synthetic ropes, and manufacturers of synthetic ropes are focusing on amplifying their strategies to meet the rising demands from the aforementioned sectors. 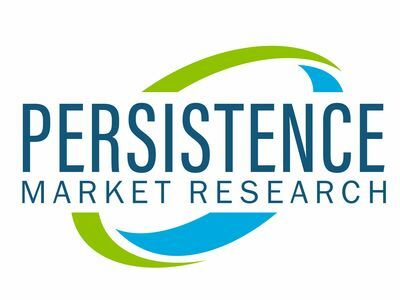 In a recent study by Persistence Market Research, the growth trajectory of the global synthetic ropes market has been studied over an eight year period from 2018 to 2026, with comprehensive insights on the performance of the various regional markets. According to Persistence Market Research analysis, the global market for synthetic ropes is estimated to reach a valuation of US$ 2.1 Bn by 2026, with sales revenue anticipated to exhibit a growth rate of 4.2% over the forecast period of 2018 to 2026. The markets in North America and China are expected to remain highly lucrative in the course of the next eight years. This can mainly be attributed to significant demand from end use industries, such as fishing, shipping and oil & gas industries. Moreover, easy availability of raw material in China is the major factor responsible for the growth of synthetic ropes market in the region. The marine and fishing industries have grown rapidly over the past few years owing to the significant rise in consumption and demand for fish products, Marine and fishing segment, by far, is expected to be the dominant application segment for synthetic ropes. Characteristic properties of synthetic ropes, such as high strength, better grip, high efficiency, cost effectiveness and lightweight, among others, are major factors responsible for growth of synthetic ropes in fishing industry-mostly used for making fishing nets, twines, and ropes. Moreover, the growing demand for fisheries and aquaculture products for food and non-food applications across the globe will result in fishing industry's growth-subsequently driving the demand for synthetic ropes in fishing industry. Also, marine industry is projected to increase the adoption of synthetic ropes in the coming years for owing to the increase in seaborne trade. In the marine industry, synthetic ropes are likely to be used for securing ships at berths (mooring lines), town lines, lifting operations, hauling, seismic and cable laying and hoisting, among others. Moreover, growth in the construction industry is expected to have a high impact on the demand for tower cranes. The demand for tower cranes stems from ongoing construction in commercial and residential infrastructure, across the globe, in turn, significantly increasing the adoption of synthetic ropes in cranes. Increasing crude oil prices have significantly inflated the price of synthetic fibers-- major raw materials for synthetic ropes. Further, availability of low cost competitor products, such as steel ropes, is likely to have an impact on customer preference- restricting the growth of synthetic ropes market. Moreover, synthetic ropes have certain limitation compared to competitor ropes, such as steel and wire ropes, in terms of susceptibility to heat generated through winching, failure due to abrasion, degradation under ultra violet light and at high temperatures, among others. In the shipping and oil and gas industries, it is mandatory to replace worn-out synthetic ropes to ensure operational safety. Frequent maintenance and replacement of synthetic ropes could restrain the adoption to some extent. Samson Rope Technologies Inc, WireCo WorldGroup Inc., English Braids Limited, Teufelberger Holding AG, Lanex AS, Axiom Cordages Limited, Bexco NV-SA., Atlantic Braids Ltd., Unirope Ltd., and Dong Yang Rope Mfg. Co., are some key players operating in the global synthetic ropes markets. Synthetic ropes manufacturers are channelizing their efforts towards increasing production capacity to cater to the increasing demand for Synthetic ropes for various applications. Global players have entered into mergers and acquisitions to expand their global footprint to increase profitability and sustain their market dominance, as the synthetic ropes market is highly competitive.